Whether you slip and fall, get hit by another driver, or crash your motorcycle, or any number of other personal injuries can happen at any time, and could leave you struggling to pay medical bills and facing a lengthy lawsuit to get the money you deserve. Many people in Los Angeles and the surrounding cities and suburbs find themselves in the middle of a complicated, drawn-out lawsuit, wondering how they’re going to make ends meet while they wait for a settlement. If you’re facing a personal injury suit, are out of work, and unable to pay your medical bills and other expenses, a lawsuit loan may be the perfect solution for you. These loans offer you a cash advance that you can use to pay for hospital bills, rent and mortgage, groceries, or whatever else you need. Interstate Lawsuit Funding is one of the premiere lawsuit cash advance companies serving clients in the Los Angeles area and the rest of California. We are staffed by lawsuit loan professionals who have years of experience working with plaintiffs throughout the state, and have a deep understanding of California law and the funding needed to stay afloat while personal injury lawsuits go through litigation. We are a direct lender and we offer immediate decision pre-settlement funding to plaintiffs. When you call us or fill out our simple, 30-second online application, we will assess the merits of your case and speak with your attorney before we make a decision. The professionals at Interstate Lawsuit Funding will determine your eligibility and an appropriate amount for your loan, and you could have the money in as little as 24 hours, to use paying for everyday expenses or anything else that you need. We do not perform a credit check, and we don’t require you to provide any collateral. When you borrow from Interstate Lawsuit Funding, you also don’t need to worry about how you will pay back the loan. 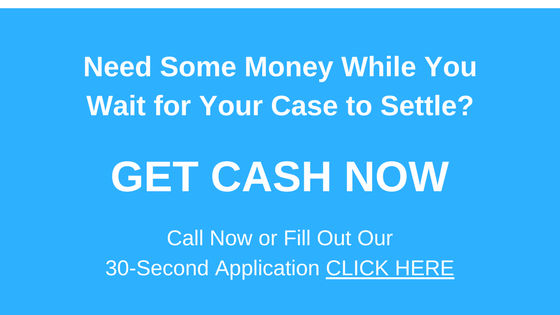 Our lawsuit cash advances are known as non-recourse loans, which means you will only pay it back if you win your case or reach a settlement. In that case, the money to pay back the loan will come straight out of the proceeds of your settlement, so you won’t owe anything out of pocket. If you live in Los Angeles or surrounding suburbs, Interstate Lawsuit Funding can help you get the cash you need in the midst of a personal injury, slip and fall, car accident, motorcycle accident, boating accident, or other similar type of lawsuit. Give us a call at 954-946-0487 or fill out our quick, 30-second application online to get started.